<p>It was first discovered in the Western Ghats Biodiversity Hotspot, designated one of the eight most important global hotspots and one of the three most threatened by population growth, in 2011.</p>    <p>But new research led by the University of Plymouth has found it for the first time in caecilians, the critically endangered Amboli Toad (<em>Xanthophryne tigerina</em>) and the endangered white-lipped Cricket Frog (<em>Fejervarya cf. sahyadris</em>).</p>   <p>In a study published in <em>Royal Society Open Science</em>, scientists say there is currently no evidence to suggest the bacteria has developed into chytridiomycosis within the Western Ghats.</p>     <p>However, they say the situation should be monitored closely in future and that conservation plans within the region should aim to minimise the risk of the bacteria being spread more widely.</p>    <p>Christopher Thorpe, a postgraduate research student in the University's School of Biological and Marine Sciences, led the study alongside Plymouth colleagues Dr Mairi Knight, David Pryce and Lewis Davies.</p>    <p>It also involved researchers from the Department of Infectious Disease Epidemiology at Imperial College London, George Washington University, and the Tata Institute of Social Sciences in Maharashtra, India.</p>   <p>Mr Thorpe said: &quot;The Western Ghats is home to the highest concentration of rare amphibians in India and a number of species which feature on the International Union for Conservation of Nature's red list. To find Bd among them is a cause for concern, although we have no way of telling at the moment whether this is a historical infection or something that has developed more recently. 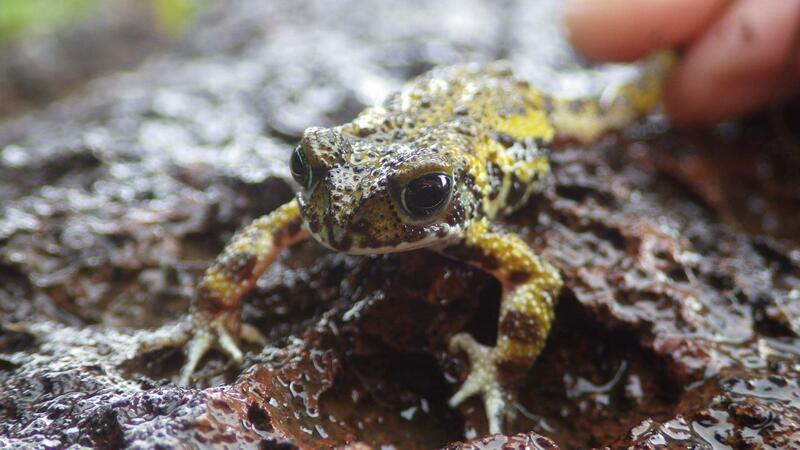 "However, we have previously seen the effects that chytridiomycosis can have in decreasing – or in many cases wiping out – amphibian populations elsewhere in the world. So we urgently need to develop a greater understanding of any factors that might be regulating its existence in the Western Ghats, where the amphibians are already being threatened by habitat loss, habitat degradation, pollution and disease."